When the “Games Outdoors!” club held its first official game of manhunt to kick off the fall 2010 semester, the club’s leaders hoped that a dozen or so students would show up. 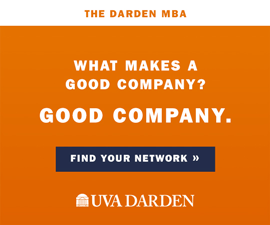 To their surprise, 40 students—including a few Cavalier football players—gathered at Darden Court to play this popular childhood game, which combines team hide-and-seek with a “jail” and a time limit. A colossal game of manhunt ensued, and students delighted in running about and hiding in bushes and behind signs before hitting the books. “We were a bit out of our league, being chased by those football players. They really gave the rest of us a good workout,” says Gabrielle Escalera (Col ’12, Educ ’13). She and two friends, Allison Light (Engr ’12) and Hunter Cook (Col ’12), founded GO! 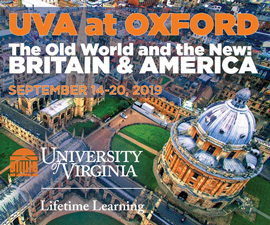 during their first year at UVA as a way to bring the fun and camaraderie of playgrounds past into the demanding life of a college student. “We just want to play games, games that we played on the playground that disappeared along with recess,” Escalera says. 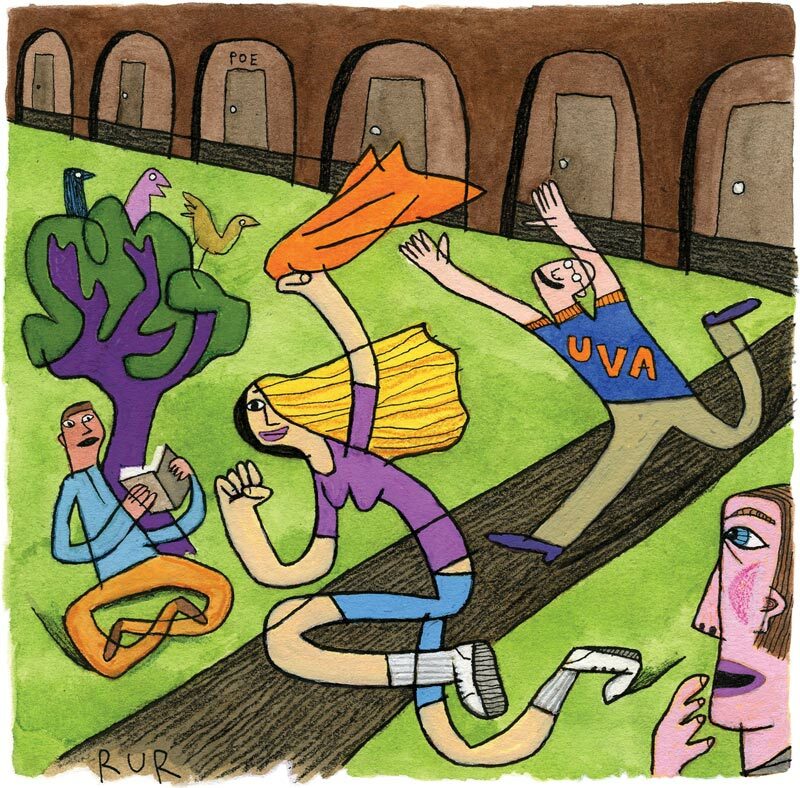 UVA students play as hard as they work, and club members jump at the chance to play kickball, four-square, capture the glow sticks on the Lawn, or a round of hide-and-seek. The games are simple, low-budget endeavors, and students need only show up ready to play. It also helps if someone brings a ball. Finding a ball and a prime location for playing are some of the small challenges that this newly recognized club has faced. Escalera, Light and Cook must also establish rules for games that varied from playground to playground. In that first game of manhunt, one student climbed a tree for a prime hiding spot. “No one could reach him, and so we had our first rule,” says Cook. “No hiding in trees!” It’s this sort of creative thinking that raises the intensity of these childhood games to the college level. “When you’re a kid, it’s a lot more fair,” says Escalera. College students play more strategically than children do; they show a willingness to get dirty and be patient—dedication that amplifies the challenge of the game. During a round of capture the flag, one student stood on the flag to hide it from the other team. “No one could find the flag—we were all confused. It was pretty clever,” says Light. The games are increasingly popular, and before graduation, Light hopes to find a place to play wall ball; all three club leaders dream of a massive game of hide-and-seek in the Alderman stacks. Another group—the Gamers Club—keeps its activities indoors, but, like GO!, facilitates a social atmosphere that helps relieve the stress of college life. For two hours a week, graduate and undergraduate students take a break from their studies to attend Gamers Club meetings, to play video games together and discuss components of the video game industry. When the club began in 2003, its founders envisioned it as a counter to the trend toward solitary online play, where players perhaps never see the faces of other players. The Gamers Club seeks to bring students who are passionate about video games together in a major way. More than 100 students attended the club’s largest annual event, Fall Festival, last semester. Club members set up televisions in Newcomb Hall and invited students to drop in for a little friendly competition. Weekly club meetings focus on different aspects of the gaming industry, such as video game design, music composition, game journalism and marketing. Many Gamers Club members, Lobaton included, hope to convert their passion for video games into careers in this multi-billion dollar industry after graduation. “There are so many interesting aspects of the games,” says Lobaton. “It’s great, and more rewarding, to enjoy them with people.” Club members have a diverse range of interests and individual preferences for their mode of playing, but students willingly share knowledge and amusement with one another. Indoors or outdoors, students keep in mind that the games are just that—a welcome pause from academics and work that keeps a playful mentality alive on Grounds. “They’re a way to come together,” Lobaton says.